More and more often in projects, I need a system that does not use refrigerant in the building. Ideally, a modular design is possible, which helps me comply with standards in the future. Simultaneous or alternating cooling and heating with minimum use of refrigerant through a water-based internal circuit. Extend your lead! With the Hybrid VRF system, the refrigerant is used only in the outdoor unit and in the Hybrid BC controller. This makes it possible to implement projects that require the rooms themselves to be free of refrigerant lines. The use of water as a heat transfer medium means that DIN EN 378 does not need to be observed in the individual rooms. Additionally, the use of R32, which transfers more energy with less mass, generally results in the need for less refrigerant than a system with R410A. The Hybrid VRF system offers maximum flexibility in terms of the use, distribution and selection of functions of rooms and also enables seamless connection to the higher-level building management system. 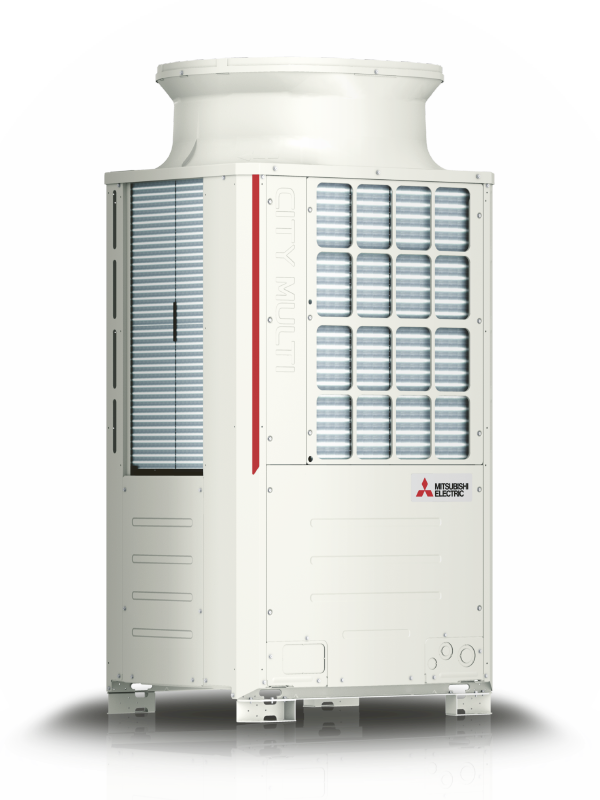 With an R2-series Hybrid VRF system, each individual indoor unit can operate independently in heating or cooling mode. The heat drawn from the areas needing to be cooled is used to heat other areas in the building. The economical solution for high demands for efficiency, comfort and convenience e.g. in office buildings and hotels. The YNW generation of City Multi outdoor units with state-of-the-art inverter compressor technology, large-area microchannel aluminium heat exchangers and many other enhancement guarantee high seasonal energy efficiency. The wide range of indoor units within the Hybrid VRF system enables climate control in rooms of all kinds. 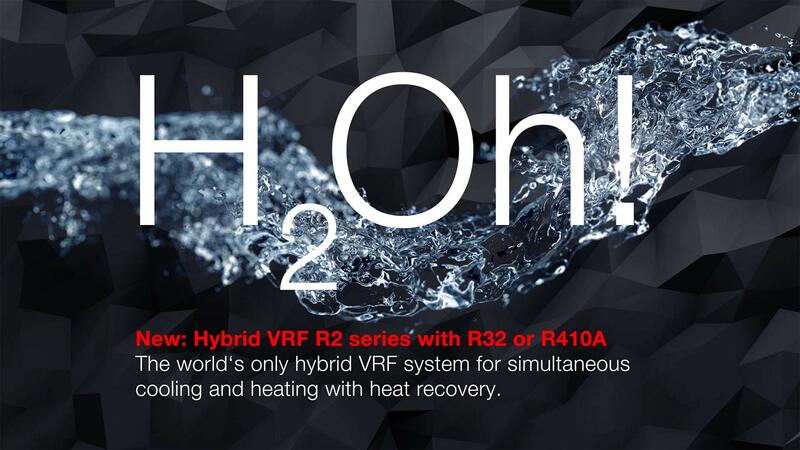 All important hydraulic components are already implemented in the Hybrid VRF system. The only task that remains is to determine the expansion tank. Plastic pipes instead of copper pipes can be installed within the building. Since the indoor units need no extra check the leak testing according to F-gas regulation is much easier to perform. The Hybrid VRF system impresses with its high level of energy efficiency, providing optimum support in terms of meeting the current guidelines for modern, sustainable construction. Simple and uncomplicated management with Mitsubishi Electric system control – all communication takes place via M-Net data bus. 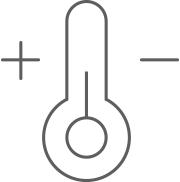 There is no need to retrofit additional communication technology. The new generation of Hybrid VRF systems works with the new refrigerant R32 in the outdoor unit and in the hybrid BC controller. Thanks to the more favourable properties of this refrigerant, the piping cross-sections can be reduced in many applications. All values and percentage-based improvements are stated in comparison with the previous series. The units contain the fluorinated greenhouse gas R410A or R32. Arrange an appointment here and we will personally show you the benefits of the new City Multi Hybrid VRF outdoor units. Alternatively, you can request a free ‘Lead’ brochure here.